Find all Roswell homes for sale right here. Roswell has always been among the most popular places to live in Metro Atlanta and is frequently rated as one of the top places to live in the country. Roswell is also slightly closer into Midtown, Downtown and Buckhead than some of the other northern suburbs in the GA 400 corridor without an increase in price. It also has a historic downtown district with excellent restaurants, shopping and nightlife affording residents many of the lifestyle advantages usually only found in areas closer to Atlanta. 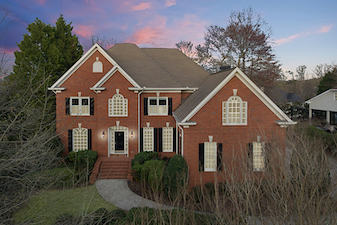 View Sold Homes in Roswell. View all of the sold homes in Roswell. Real, accurate, interactive and up to date. Start your research on your own and contact us when it's time to sell! Roswell can be broken up into three sections that are all a little different from each other. GA 400 runs north and south and splits it into two different sections; east Roswell heading towards Johns Creek and west Roswell that runs towards East Cobb and is adjacent to Alpharetta and Milton. West Roswell really has two sections itself - there is the west part of Roswell that tends to have more of a feel like Alpharetta or maybe East Cobb and then there is Downtown Historic District. The downtown area truly has a feel that is very different than the other sections of Roswell. Downtown Roswell has a very charming commercial district with fantastic restaurants, eccentric shopping and a nightlife. If you currently live in or around the area and haven't been to Historic Roswell, you really should go check it out! You can search all the Downtown Roswell homes for sale here. If you are looking to the east, you can search all homes for sale on the east side of Roswell here. Here is where to search if you are looking for homes for sale on the west side of Roswell. Roswell was founded in 1836 by Roswell king and today is Georgia's sixth largest city. Roswell is bordered on the south by the Chattahoochee River and the city of Sandy Springs and to the north by Alpharetta. Real Estate offerings in Roswell are diverse. Luxury homes along both Riverside Drive and Azalea Drive are some of the most beautiful homes anywhere in the Atlanta area. Golf country clubs like Horseshoe Bend and Willow Springs are well established and offer fantastic country club lifestyles. Numerous swim/tennis neighborhoods, first-time homebuyer subdivisions and townhomes can be found in Roswell at an excellent value. Be sure to check out the various sections within Roswell because they do differ slightly on the east side versus the west side of Georgia 400 and the Downtown Historic District is a fantastic place to spend an evening. At Premier Atlanta Real Estate, we are local and are committed to providing our Roswell real estate clients the very best in traditional marketing combined with cutting-edge internet and social media marketing that no other Roswell real estate agent can provide. Your home deserves the very best marketing that utilizes all of the tools traditional agents can provide while combining them with state of the art techniques that will elevate your home above the crowd. When it comes to putting your home in front of potential buyers, not only will we make sure more of them see it but we will also make sure that what they see makes the best impression of your home. We will utilize aerial photos and some of the best professional photography available anywhere in the country to ensure that when a potential buyer sees your home, it will look its best. Our office is located in Roswell, we really are local Roswell real estate experts and very familiar with the Roswell real estate market and all Roswell homes for sale. We stay abreast of the Roswell real estate market trends constantly. It's our home base. Our agents are given market updates, continuous training on market statistics, negotiations and service to ensure that you have the best possible buying experience with the least amount of hassle in the shortest period of time. You deserve the best representation and a Roswell real estate agent at Premier Atlanta Real Estate is the partner you need to find your next home. Contact us at 770-604-1860 to get started today! Location, parks & recreation, responsible city government with a positive growth plan, the Chattahoochee River corridor - the reasons are numerous! If you love the outdoors, Roswell has more to offer than any of its close by neighbors. Roswell is filled with amazing things to do. There is an old covered pedestrian bridge and waterfall that photographers use frequently for photo shoots, there is Alive in Roswell the 3rd Thursday of the month in the summer months, excellent and modern public libraries, great restaurants, civil war historical sites, theater, breweries. Quite frankly, move to Roswell and you may never go to Atlanta except to get to the airport, a Falcons game or passing through on a vacation to Florida. Premier Atlanta Real Estate is a team of agents and staff with Keller Williams Realty Consultants in Roswell, Georgia. We are located at the corner of Houze Rd and Mansell caddy-corner from the new Sprouts and Starbucks. The address is 695 Mansell Road, Suite 120, Roswell, Georgia 30076. If you are looking for Roswell real estate, make sure you hire a Roswell real estate agent to represent you. Find us in person on the map below!